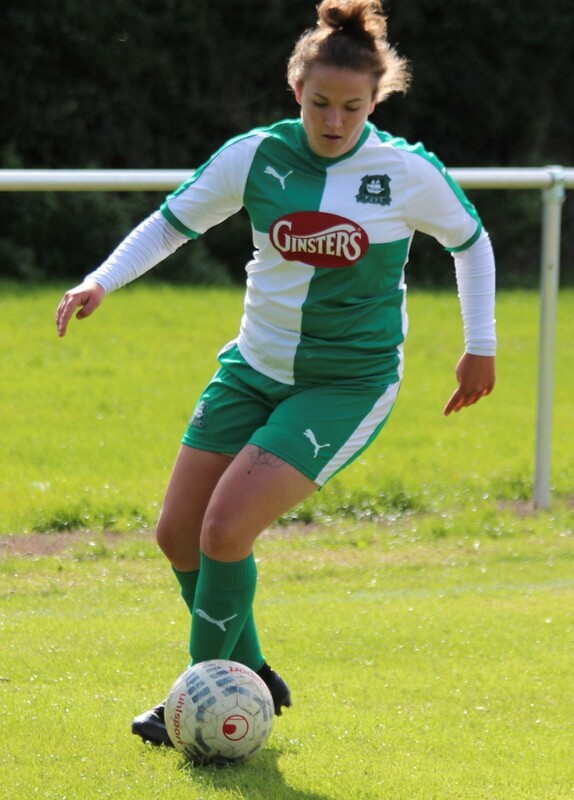 PLYMOUTH Argyle Ladies were left frustrated on Sunday when their National Premier League Southern Division match with Coventry United was postponed due to a waterlogged pitch. The Argyle team coach had reached Exeter when they receive the message that the pitch at Daventry Town FC, where the game was due to be played, was covered in standing water. 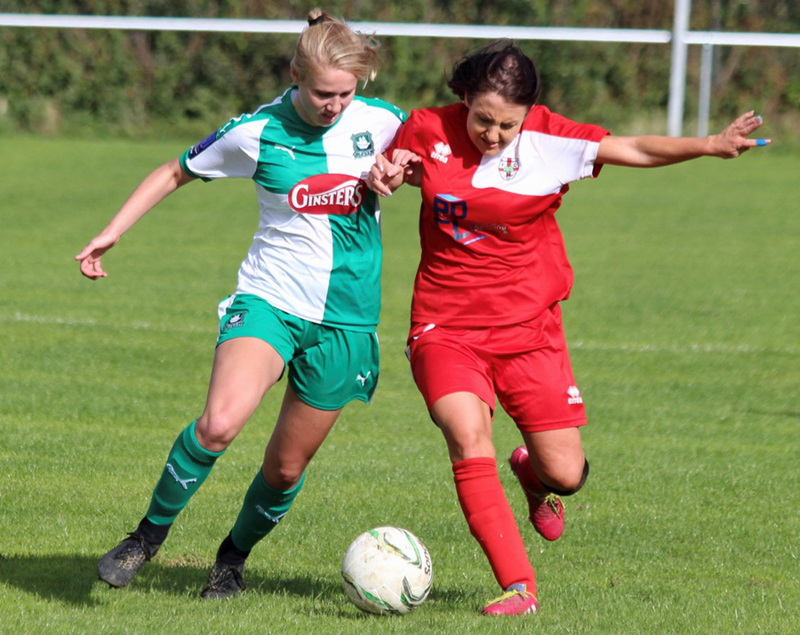 It was particularly disappointing for Argyle’s new signing England under-20 international Jessica Jones, who had finally received international clearance from Canada to turn out for the Greens after a spell playing professional football in North America. Jones will now have to wait until this coming weekend to make her début when the Pilgrims travel to Queens Park Rangers. However, Argyle’s development team did play in the South West League Western Division and beat Weston Mendip 3-0 away. Argyle had the better of their opponents in the opening exchanges and missed a number of good chances. Kelly Vinnicombe narrowly shot wide, while Gabi Alphous came close twice to opening the scoring. Weston looked dangerous on the counterattack, but the back four of Medd-Gill, Parkyn, Fannon and Randall were a difficult unit to break down. Argyle finally managed to break the deadline when they won a free-kick after Alex Hugh was upended. The Pilgrims took it quickly and attacked with Vicki Fannon and Vinnicombe linking up to feed Alphous inside the penalty area. Her shot struck a post but Nicola Chapman reacted the quickest to score from the rebound. 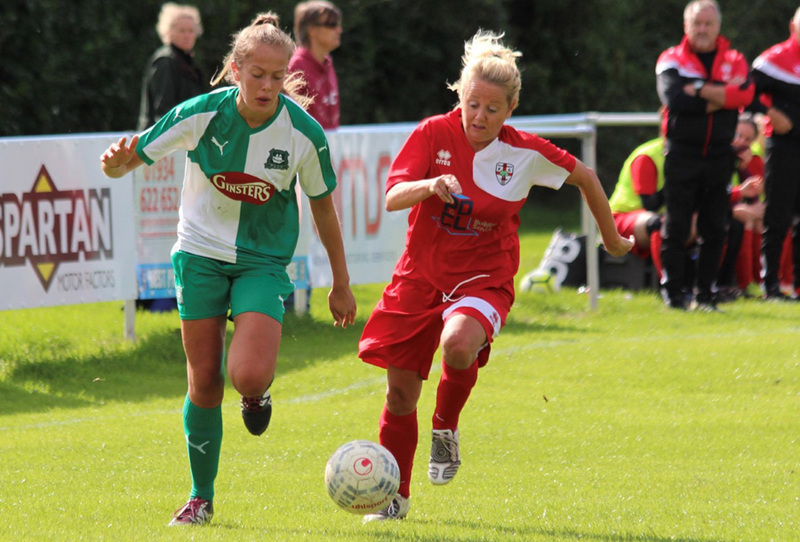 The second half followed the same pattern as the first with Argyle looking to wear down a stubborn and well-organised Weston team. The Pilgrims had to wait until midway through the half to double their lead when a cross from Jodie Randall found Hugh, whose shot rebounded back to her but she had the presence of mind to lay-off a perfect ball into the path of Fenlon, who fired home. Weston almost reduced the arrears when a header from a corner was superbly saved by goalkeeper Amy Darnley. And it was Darnley who started the move for Argyle’s third goal. She made a clean catch through a crowd of players from a corner. A quick throw to Tamsin Medd-Gill set up a swift counterattack. Medd-Gill found Maya Ridge, who carried the ball forward and played in Gabi Alphous, who calmly slotted the ball past the onrushing goalkeeper to seal the win. Manager Rob Bonney said: “They (Mendip) were a hard team to break down but the girls kept at it. They were patient and tried to do the right things throughout the game. Argyle Development team: Amy Darnley Tamsin Medd-Gill, Becky Parkyn (Morgan Friend) Vicki Fannon, Jodie Randall (Rachel Javan) Sally Salter (Maya Ridge) Alex Hugh, Kelly Vinnicombe, Gabi Alphous, Nicola Champion (Hannah Brock) Lucy Solloway (Shania Fenlon).